Minimum footage of 200' or value of $2,000, whichever is greater. Offer does not apply to vinyl or aluminum gates. Call 804-730-7166 for a FREE in-home estimate and layout assessment. 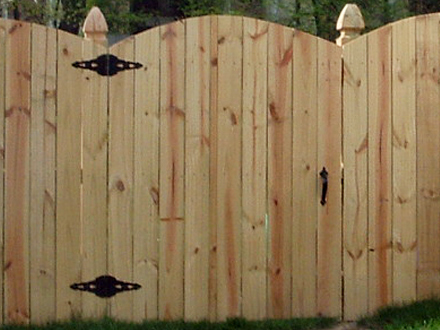 Welcome to fencing unlimited, your home for commercial and residential fencing in Richmond VA, Chesterfield, Mechanicsville, Midlothian, Hanover, Glen Allen and nearby areas of Central Virginia. We build our high-quality fences above industry standards and offer a three year warranty in addition to a manufacturers limited warranty on all materials because we are confident our products will last. 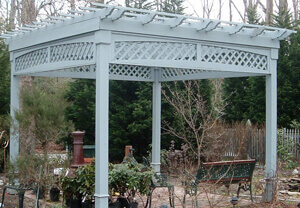 In addition to fence building, we also create custom arbors and pergolas that are sure to tie your backyard or garden space together and turn heads when neighbors come by. Our company’s success comes from the professional manner in which we treat our customers. This philosophy is carried out from the time of the initial sale, through the fence design and building process, until the job is complete. Though we don’t sell building materials directly, we are one of the few fence companies that inventories 80% of the supplies we install. Fencing Unlimited, Inc. uses only the finest quality materials to build your fence, which is part of the reason our fences look superior compared to our competition. 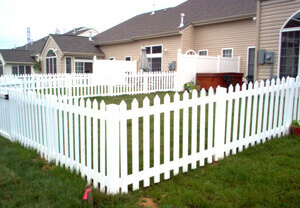 Here at fencing unlimited, we understand there are many different reasons behind building a fence. That’s why we offer so many different services, style, height, and material choices for our installations. So whether you are interested in a privacy fence, commercial or industrial fencing, need it in your backyard to protect your children and animals, or just want an attractive barrier around your property, we have you covered. Many people even decide to build a fence simply for aesthetic and ornamental purposes. We also serve commercial facilities and local businesses who need fences to establish property lines or work zones, keep potential intruders out, beautify the property, and to protect against liability. No matter what type of fencing you are looking to have created, we can build a beautiful fence you are sure to love for years to come. 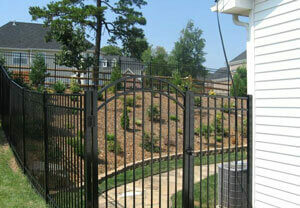 We have a wide variety of materials to choose from including wood, vinyl, aluminum, and chain link fences. If you are not quite sure what you are looking for, our trained staff will take you through the entire process from start to finish. This includes coming up with the style and material of fence you want, choosing a height, layout on your property, placement of gates, and a free price quote.